Location is everything with this charming townhome by the sea. 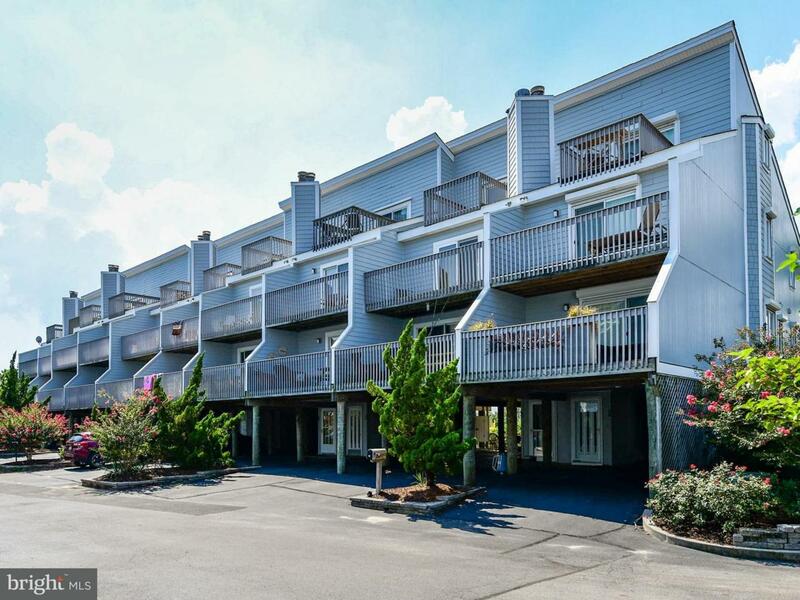 Tucked into a private, gated community on the oceanfront with no highways to cross and private access to the beach, yet within a stone's throw to the family fun of Bethany Beach or the night life of Dewey Beach. You will find the best of the beach at Indian Harbor Villas #30, close to restaurants, shops, state parks and a marina.Step inside to find an open concept floor plan with abundant upgrades, from wood-look flooring to a fresh coastal kitchen with glass-front cabinets. No detail was missed in this home with newer carpet in bedrooms and renovated baths. The elevated first floor is ideal for entertaining with an open flow from the updated kitchen to the dining area, to the living area and the deck. Also, on this floor is a spacious bedroom perfect for guests or could be converted to a den or office. The second floor offers another spacious guest bedroom with private balcony, sunset views of the Assawoman Bay and full bath. On the east side of the second floor lies the master suite, a private get-away with custom tile shower, newer vanity, and private deck for enjoying morning coffee or an evening glass of wine. The third floor boasts the fourth bedroom, a charming loft-style room with vaulted ceilings and a private balcony with views of the ocean and natural landscape. Covered parking with outside shower and additional storage space below. Step out the front door and find your toes in the sand after a pleasant 2-minute walk down the community boardwalk. For fishing enthusiasts, you are adjacent to the Delaware State Park beach and near the Three R's access point where you can drop a line and catch the evening meal. For investors, this unit rents exceptionally well, with the sellers averaging over $27,000 in rental income. Offered fully furnished with tasteful coastal decor and only minor exclusions, this charming beach home is turn-key and ready for your immediate enjoyment! Exclusions Personal items select Artwork. List To Be Provided.